And fame was far more dear than growing old. A tale three thousand years could not efface. And idly note my body's slow decay. And I've got this to do, and there to go. So much is made of the man in the mirror one tends to forget the mirror in the man. On a clear day, they say, one can see forever. A certain immortality in that. The cosmos ponders its expanse as it can. One of those methods involves human consciousness. Immortal glory or a long life? I say that those times when we grasp some of the rich vastness of 'it all', immortal glory is ours. 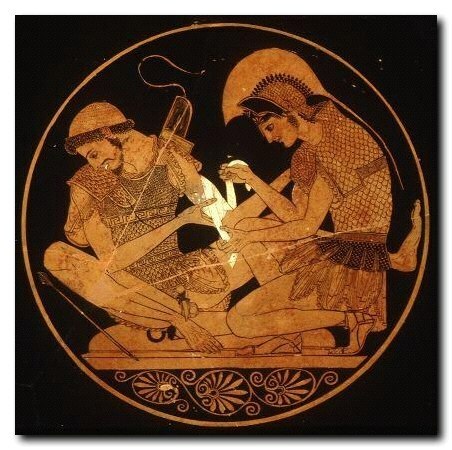 Achilles heel was not his tendon but his mortality. THe su8n's glory is not its long life but its passing brilliance. Your Glory and long life is becoming more glorius and more long-lived with each word that you share.